With 17 beautifully decorated and furnished rooms including deluxe suites, we aim to provide you the best and comfortable stay with us. Our deluxe suite offers more spacious rooms with a flat screen TV, air condition, private balcony, attached bathroom with shower facilities. These rooms have one queen sized and one full bed. This room is recommended for friends or families who like to share the same room but use separate beds. 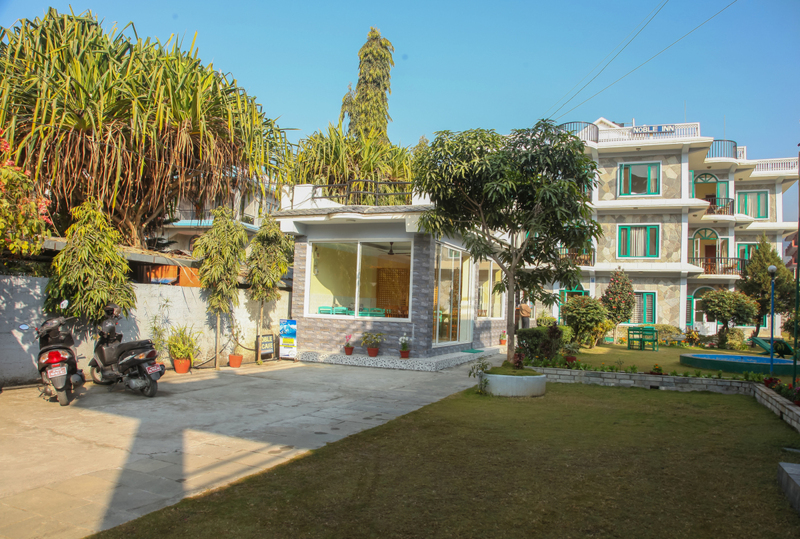 The rooms are well equipped with all modern facilities and we are always ready to assist our valuable guests. 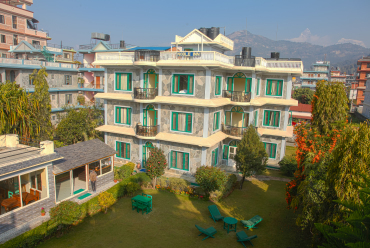 Experience the close nature from our rooms that provides magnificent garden views and Himalayan views from the balconies. 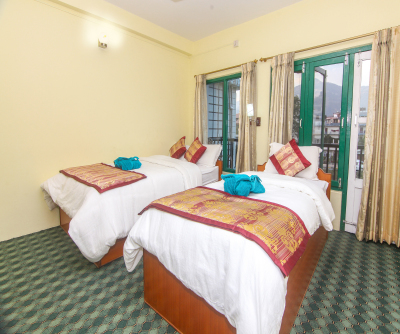 Our deluxe twin room features a flat screen TV, private balcony, attached bathroom with shower facilities. These rooms have one queen sized bed recommended for solo travelers or couples. The rooms are well equipped with all modern facilities and we are always ready to assist our valuable guests. 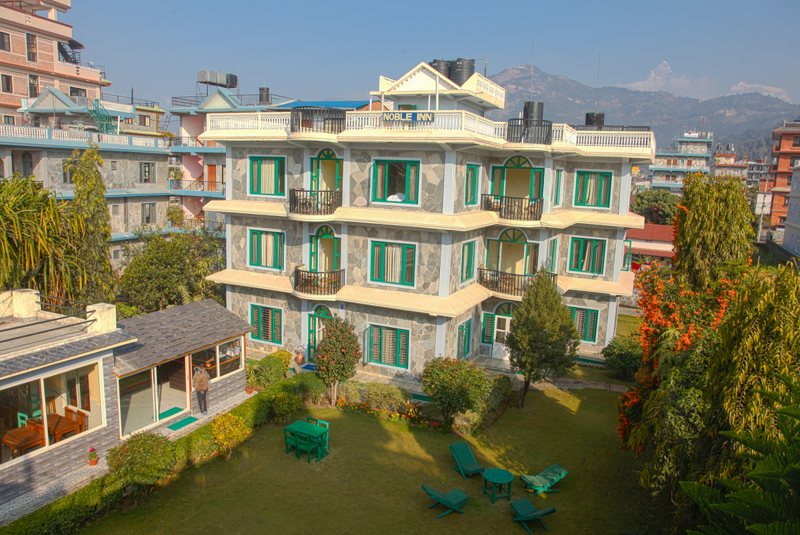 Experience the close nature from our rooms that provides magnificent garden views and Himalayan views from the balconies. 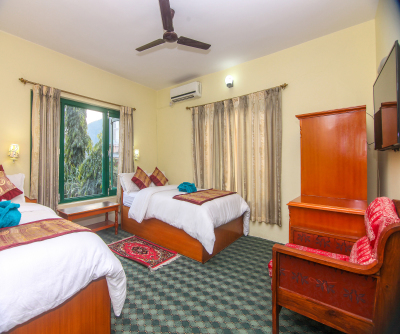 Our deluxe double room features a flat screen TV, private balcony, attached bathroom with shower facilities. These rooms have one queen sized and one full bed. This room is recommended for friends or families who like to share the same room but use separate beds. 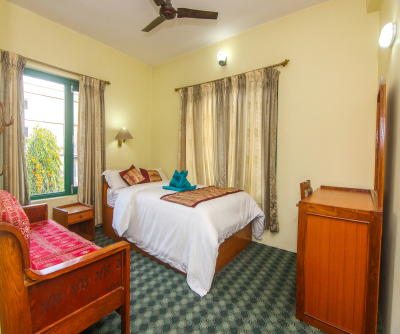 The rooms are well equipped with all modern facilities and we are always ready to assist our valuable guests. Experience the close nature from our rooms that provides magnificent garden views from the balconies. Phewa Lake is the travellers’ focal point in Pokhara. The lush Rani Ban, or Queen’s Forest, bestows an emerald hue to the lake, and on a clear day the Annapurna mountains are perfectly reflected on its mirror surface. You can take to the lake in one of the brightly painted doongas(boats) available for rent at Lakeside. Pokhara is known as a gateway to the Annapurna Circuit, a popular trail in the Himalayas. 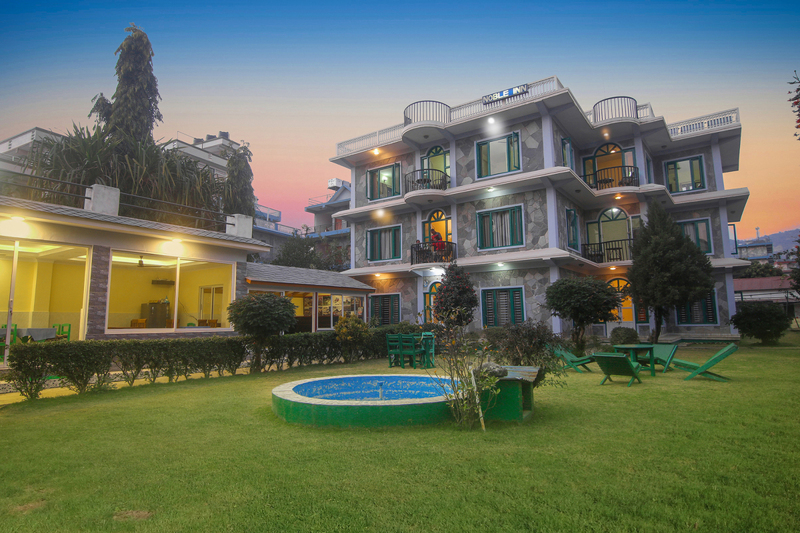 Pokhara has also developed as an adventure destination in the last decade, offering everything from ultralight flying to paragliding, and from skydiving and zip-lining to bungee jumping, Pokhara is a complete holiday package for a perfect vacation. Soaring silently on the thermals against a backdrop of the snow-capped Annapurna is a once-in-a-lifetime experience. Operators usually offer both 20-minute and 45-minute flights. 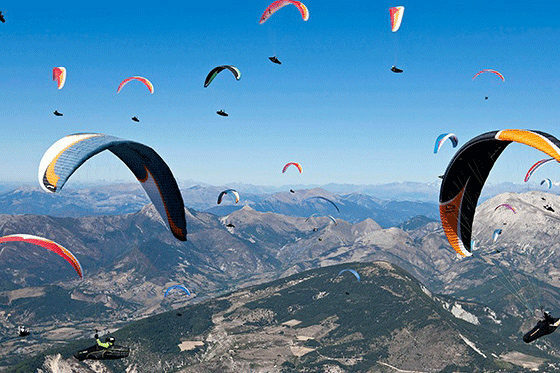 Paragliding operates during suitable weather year-round, including during the monsoon.